Originally issued in two volumes in 1988, the Past Masters collection collates all The Beatles' various singles, b-sides, rarities and EP tracks not included on the original albums. In the 1960s it was customary for groups to release standalone singles; indeed, it was considered bad form to issue songs which were already available elsewhere. As a result, The Beatles released a number of tracks on singles which were unavailable elsewhere. This policy also extended to not issuing songs as singles once they had already appeared on albums. So, unlikely as it may sound today, no singles at all were lifted from With The Beatles, Beatles For Sale, Rubber Soul, Sgt Pepper's Lonely Hearts Club Band and The Beatles (White Album). Other singles, such as A Hard Day's Night and Help!, were either issued on the same day or before the album they also featured on. When EMI sought to standardise The Beatles' canon in 1987, their UK albums were issued worldwide. The following year the two Past Masters volumes were released; until Live At The BBC in 1994, and the Tony Sheridan recordings from the early 1960s, these CDs constituted all the officially-released Beatles songs. The first Past Masters volume contained 13 tracks from The Beatles' singles, including their b-sides. These included: the version of Love Me Do with Ringo Starr on drums, which is different from the Please Please Me one; all four tracks from the Long Tall Sally EP; the US album track, Bad Boy, which was only released in the UK on the Christmas 1966 album A Collection Of Beatles Oldies; and German-language versions of She Loves You and I Want To Hold Your Hand. The second volume included songs originally released between 1965 and 1970. These included the single versions of Get Back and Let It Be, as well as the pre-Phil Spector version of Across The Universe originally issued on the World Wildlife Fund's 1969 charity LP No One's Gonna Change Our World. 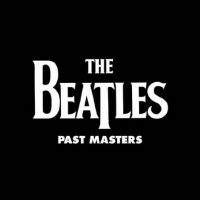 In April 2009 Apple/EMI announced that a remastered version of Past Masters would be released as a stereo double-CD set that September, as well as a monophonic version in the Mono Masters box set. to Peter. what version of a song (All Things Must Pass) you offer, is it Anthology or LP All Things Must Pass? I am confused. There is no official Beatles single (or other) release of All Things Must Pass. This is a George Harrison solo. It can’t be on a Beatles collection. Bad Boy was released after Yes It Is (14 June vs. 9 April 1965), but why is it sorted before Yes It Is in this album? It is an interesting question SK. In my iTunes, my U.K. canonical order is not by recording date, but by release date of any Single, EP or LP the Beatles did. Hence my “Bad Boy” is on the 1966 Collection of Oldies LP. But in the Beatles U.S. canonical order, on the “Beatles VI” Album, interestingly enough “Bad Boy” is song #4 while “Yes It Is”, is song #8. So maybe that’s the reason????? Past Masters was already released as a single collection when the vinyl version came out in November 1988, and obviously was released as a Double LP.